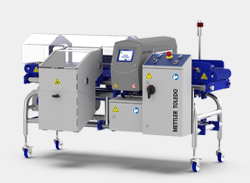 METTLER TOLEDO’s solutions are designed to make it easier to meet compliance needs, reduce product waste and maximize uptime, uphold product integrity, and detect smaller contaminants. 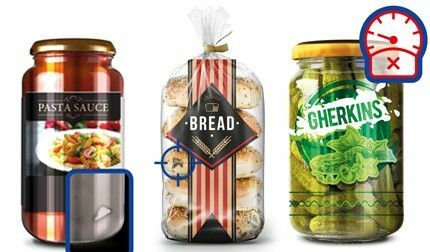 Market requirements for a wider product offering and packaging format evolution add additional demands. 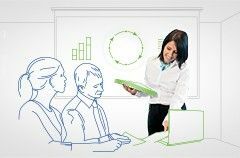 With four leading product inspection technologies,complementary data collection software, and global service support, we are ideally positioned to make it easier for you to overcome your product inspection challenges, and help you protect your brand, increase productivity and meet your quality aims. The regulatory landscape is constantly evolving. 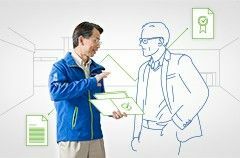 Product inspection technology makes it easier to meet current requirements and provide cost effective solutions that can adapt to future needs. 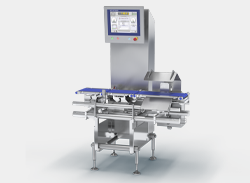 METTLER TOLEDO's dynamic checkweighing solutions are designed to satisfy international standards to ensure processed and packaged foods meet local weighing regulations. Integrating innovative product inspection technologies can increase your productivity. 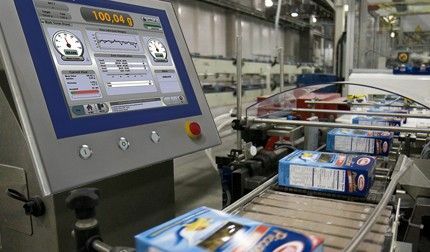 Automating product and packaging integrity checks on your production lines can improve efficiency. By overcoming product effect and facilitating efficient product changeovers, we can reduce product waste and improve your Overall Equipment Effectiveness (OEE) for new and existing lines. It is crucial to check for contaminants within the product and ensure completeness of the final package. The art is to achieve this in a cost effective manner. Inspection before, during and after packaging is the only solution. The core technologies offered by METTLER TOLEDO ensure the highest quality products for your customers. This white paper is a general guide on the topic of equipment safety, for users and suppliers of product inspection equipment. 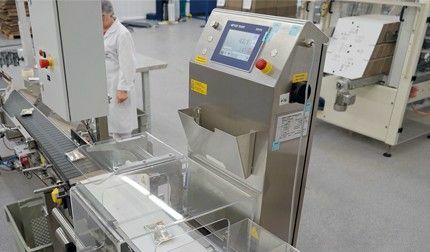 Maxim Group, cosmetic manufacturer partners with METTLER TOLEDO Vision Inspection to carry out inspection on their glass containers. 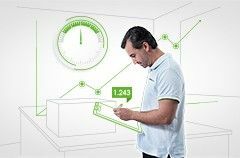 Watch a selection of videos covering case studies, relevant products and applications that explain how METTLER TOLEDO Product Inspection solutions can help solve challenges faced by ready meal manufacturers. 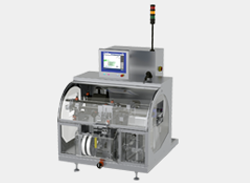 Explore how leading companies in the ready meals industry use METTLER TOLEDO product inspection systems to increase productivity, ensure product conformity and reduce the risk of product recalls. Compliance with legal requirements and reduction of waste for the food, beverage, pharmaceutical, chemical and non-food industries. 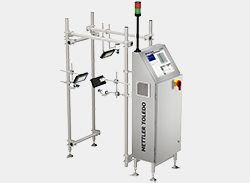 METTLER TOLEDO offers a range of industrial metal detectors to detect metal contaminants in most food and pharmaceutical applications. 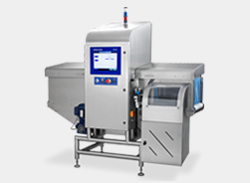 Safeline X-ray's product inspection contamination detection equipment minimises product recalls by enhancing food safety and providing quality assurance. Serialization and aggregation software and solutions for compliance with industry and government regulations. 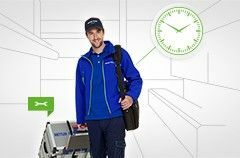 Mettler Toledo is an expert provider of vision inspection solutions, with a great deal of experience in this field across a wide range of clients and industries. 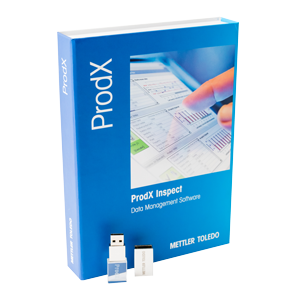 ProdX delivers enhanced productivity, superior product quality, high-level security and total process clarity to benefit your full production team.